When you register for a course in pattern making or fashion design, we will provide you with everything else you need to study with us. You will receive a CD ROM containing the Core Application Software and complete instructions explaining how to install and use the software. 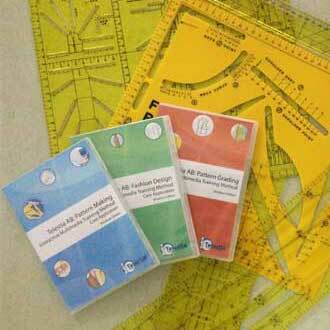 There are two AB Templates – one for the Pattern Making Course and one for the Fashion Design Course. These are basic tools you will need to enable you to draft your patterns and designs. They are constructed from highly durable materials and with care will last you for many years.